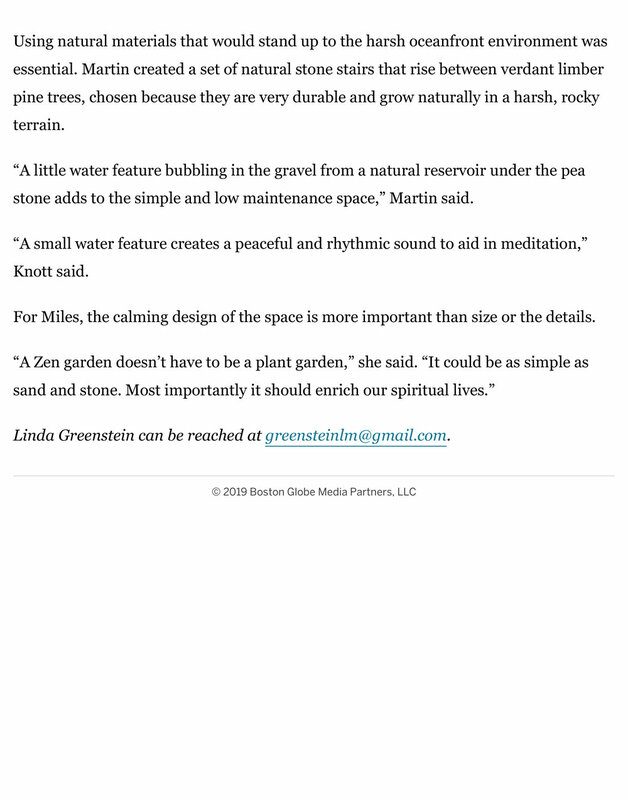 Cohasset, MA, January 24, 2019 – Amy Martin Landscape Design (AMLD) of Cohasset has won “Best Of Customer Service” on Houzz®, the leading platform for home renovation and design. The 15-year-old firm, focused on creating stunning outdoor living spaces and sustainable properties, was chosen by the more than 40 million monthly unique users that comprise the Houzz community from among more than 2.1 million active home building, remodeling and design industry professionals. 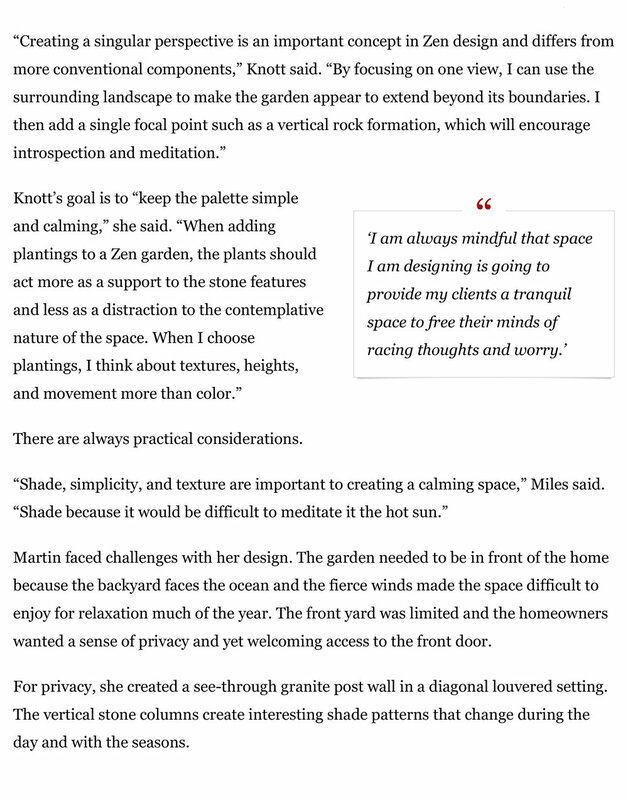 At Amy Martin Landscape Design, our goal is to help people live in closer connection to nature through luxurious outdoor living spaces on environmentally healthy properties. Through Amy's unique process of defining your style and goals, and her analysis of the site's distinguishing attributes, she weaves together a dynamic master plan that gives your property a unified, distinct style, with spaces that flow and make sense. 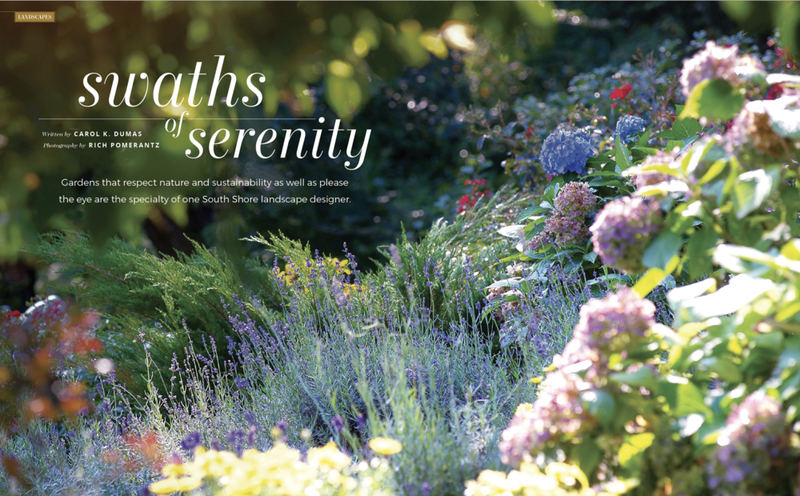 We were so happy when Southern New England Home featured our Harbor View project in their article ‘Swaths of Serenity’ this fall, 2018. They did a great job describing our approach to creating naturalistic landscapes, using native plants to create healthy ecosystems and managing stormwater with swales that lead to rain gardens. It’s winter in New England, and the cold has seriously settled in. Shortly after I’m chilled to the bone, my thoughts go out to all the plants we’ve installed around the Boston metro and I worry about how they will endure the winter. The warm temperatures this fall prevented plants from receiving their seasonal message to induce dormancy, so when the cold temperatures hit, they won’t be hardened off and ready to take the hit. Newly planted plants are the most vulnerable, but even well established landscapes, as well as native woodlands, can lose the battle when temperatures take extreme swings. Coastal areas get beaten up by the desiccating winds off of the ocean, and evergreens take the brunt of the punishment. The best way to protect evergreens throughout the winter is to wrap them in burlap, which protects them against frost, heavy snowfall, windburn and deer browsing. 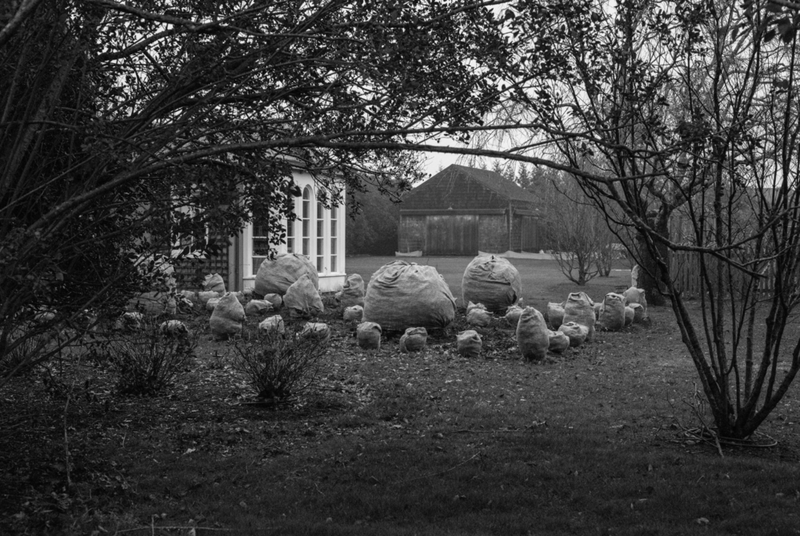 Even the New York Times has an article on the practice, especially in the Hamptons, where entire landscapes wrapped for protection begin to look like works of art. Although Mr. Sanches estimates that the cost of winter-proofing an average manicured backyard is roughly $1,000 a season, most moderately sized properties cost closer to $500-$700 per season. When spring comes and the Rhododendrons are blooming amongst lush foliage, the boxwoods look healthy and the arborvitae’s have retained their columnar shape, putting up with a bit of burlap for the winter seems a small price to pay. When Courtney from Design New England asked me what I would grow in a cutting garden, I suggested these plants to create a bouquet with great structure AND bloom, from plants that are also great landscape plants. Best of Houzz Service Award for 2019! Southern New England Home features our Harbor View project!